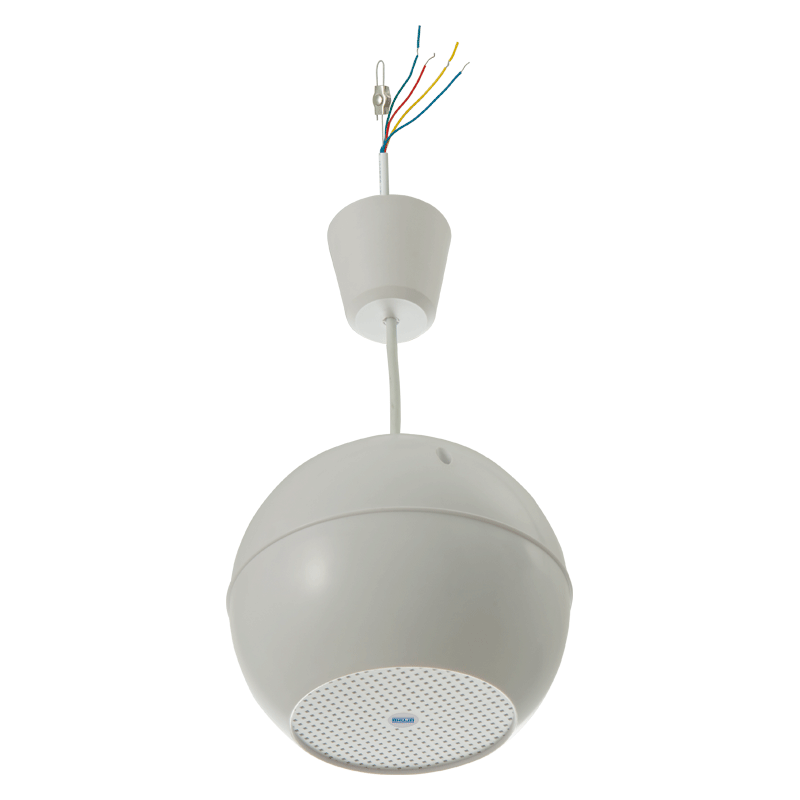 Unique and elegant sphere speaker in white plastic housing for various ceiling mounting applications. 5” Full Range Speaker, 10W/100V. Easy power tap selection through different colour wires accessible from outside. Supplied with adjustable hanging wire. Recommended for areas with high ceiling, or highly reverberant difficult acoustic environment.